Premiere Multimedia Group was created to bring International audio and video expertise to the entire South Florida region. We have state-of-the-art solutions to fit any onsite audio visual production needs. With 15+ years of experience, we have a working knowledge of all aspects of onsite audio visual rental, production and event setup. Premiere Multimedia knows what it takes to create a successful onsite audio and video production, starting with the planning stage and selection of the proper audio visual equipment for the event environment, through proper logistics that insure every aspect of the event is in order, to the managing of the technicians and the final breakdown. 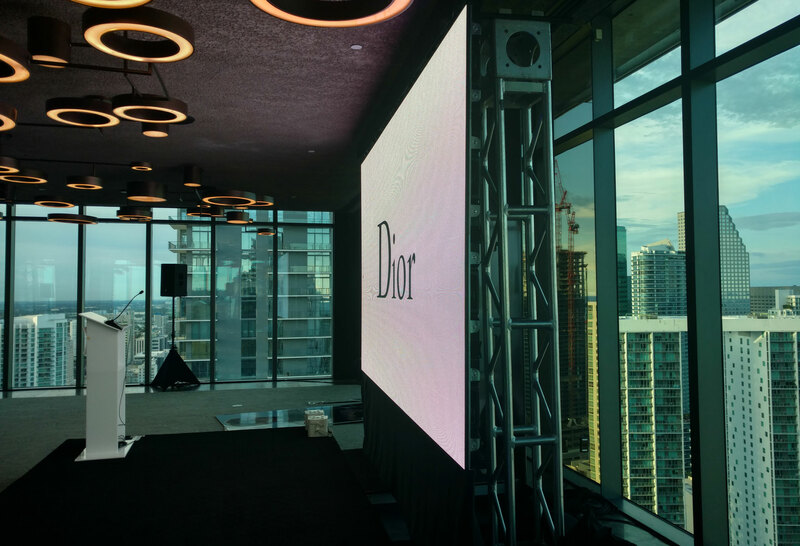 Every step of the way, our team provides the attention to detail that will deliver the total audio visual experience you are looking for. When you select Premiere Multimedia, you select a company that offers a complete solution to your event needs. Whether you just need to rent the finest audio or video equipment in Florida or need a company that will handle your entire event production, Premiere Multimedia delivers. From planning to breakdown, soup to nuts, the Premiere team will ease your mind with their expertise and ability to work with your event team. From Miami to Jacksonville, from Ft. Lauderdale and West Palm Beach to Tampa and Naples, from intimate events to the largest corporate event production, if you have a need for a professional audio visual team to fulfill your event needs in Florida, Premiere Multimedia has your solution.